One of the early modern city planners, Daniel Hudson Burnham was born on September 4, 1846 in Henderson, New York. He went to Snow’s Swedenborgian Academy and later Central High School. Burnham couldn’t get admission in Yale or Harvard after finishing school so, he finally ended up as a draftsman at an architectural firm. The ambitious and anxious nature of Burnham did not let him stay at that firm for long and he moved to Nevada. There he tried his luck in mining and also ran for the state Senate but failed in both. So, in 1870 he returned to Chicago to pursue architecture as his career but with more graveness this time. In 1972 Daniel Burnham started working as a draftsman at the firm of Carter, Drake and Wight and within the time of a year he managed to start off partnership with one of his co-workers John Wellborn Root and set up his own practice. This marked the beginning of a prosperous business for them both. They made the very first skyscraper of their times which was regarded as one of first skyscrapers of America with a height of 302 ft and 21 stories. Other major projects on their credit are ‘The Rookery’, the ‘Reliance Building’, the ‘Monadnock’ building, etc. After the sudden and unexpected death of Root in 1893, Burnham took over the responsibility with a couple of other architects as the chief of construction and chief consulting architect for the World’s Columbian Exposition, Chicago. This project is counted as a huge success of his career. After completing a number of projects Daniel Burnham decided to propose a new plan for Chicago which was going to be a plan for the future of the city and was meant to provide architectural solutions for the upcoming problems as well as control the expected growth of this American city. The most prominent features of this plan included the availability of parks for each and every citizen at a walking distance and other major decisions related to the lakefront and river. His passion for city planning did not end after this project but he carried it out well and extended it towards many other cities including Cleveland, San Francisco, Baguio and Manila. Most of the influence and inspiration for Burnham’s works was derived from Greek and Roman classical styles of architecture. Burnham’s world famous quote, “Make no little plans. They have no magic to stir men’s blood and probably will not themselves be realized”, depicts the true spirit of all of his work done. He relished the status of one of the most celebrated and distinguished architects of 20th century in America. Universities like Yale and Harvard, that once refused him admission, awarded him with honorary degrees for the excellence in his work and he also had the opportunity to hold the position as the president of the American Institute of Architects. 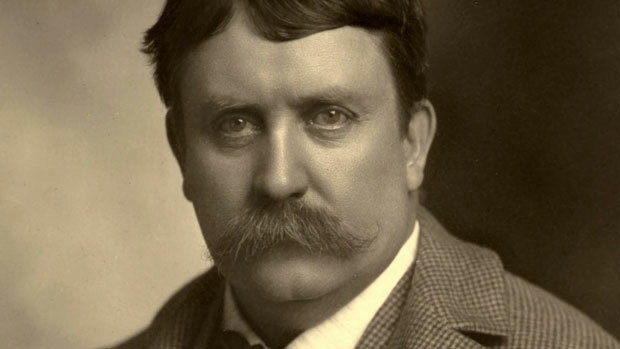 Daniel Burnham died on June 1, 1912, in Heidelberg, Germany.